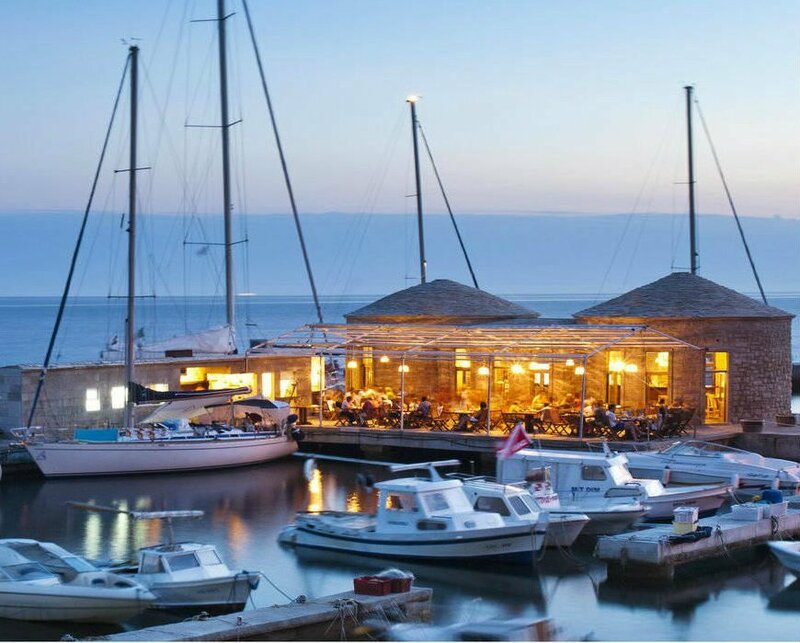 Discover Dalmatia under the sails, away from crowded cities and tourist dense areas. Explore picturesque island paths, visit unique eco villages and spoil your body and soul with the scent of intense vegetation and amazing traditional culinary art. 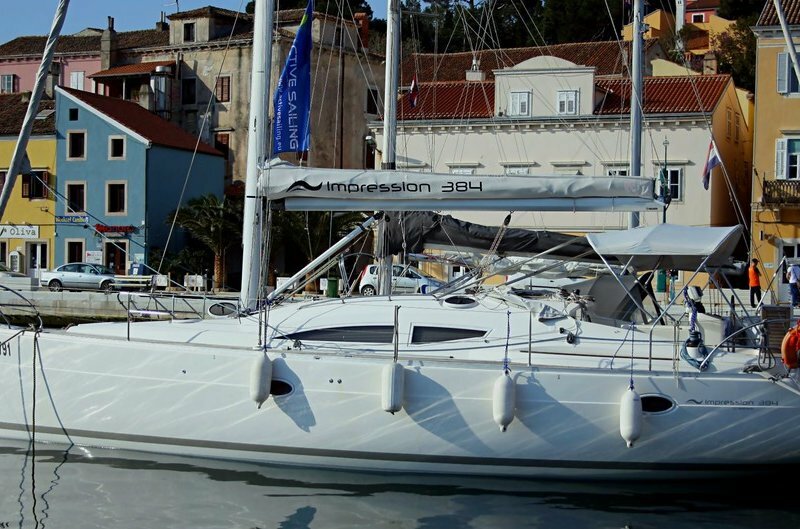 Experience Adriatic a bit different and sail through this colourful route. 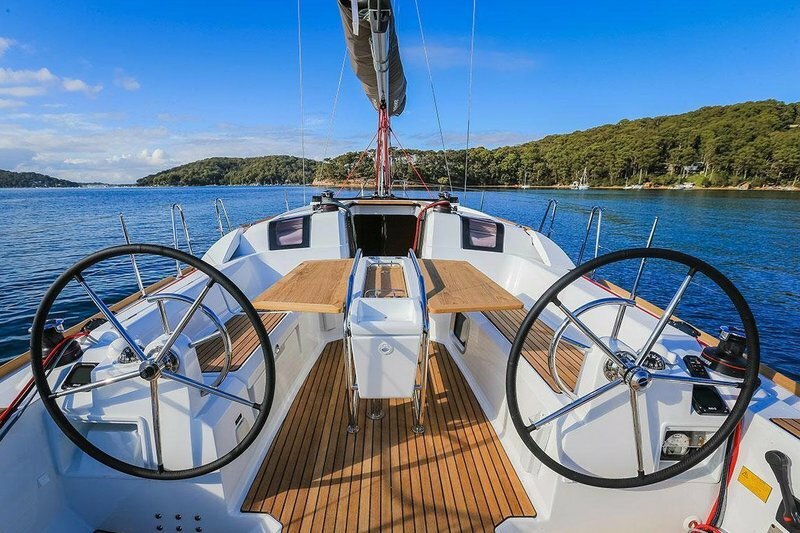 Culinary sailing tour gives you a great opportunity to explore this magical coast on a private yacht. Swim or snorkel in a pristine cove, wander around the islands and taste locally produced food and wine from remote eco villages and seaside restaurants. 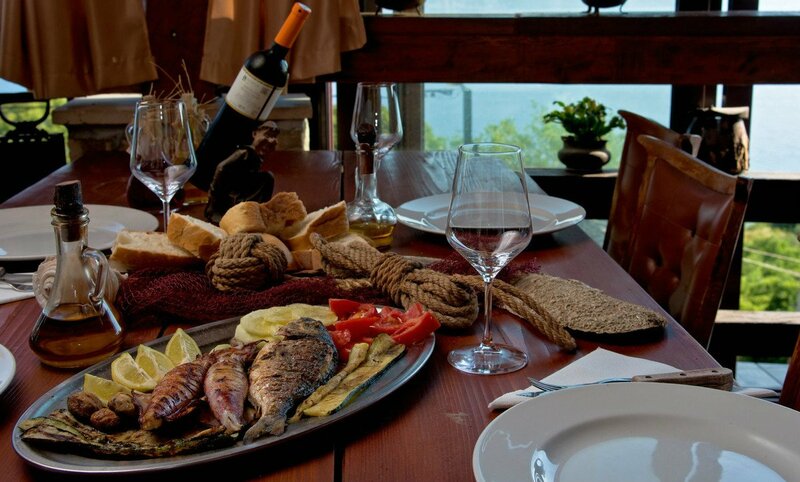 With the large accent on discovering the top-notch cuisine you will get to taste the genuine Croatia. On our "off the beaten track" route we will tend to keep the awareness of retaining the sea and coast clean, separate the garbage, taste mainly home products to support traditional agriculture and try to stay under the sails most of the time. 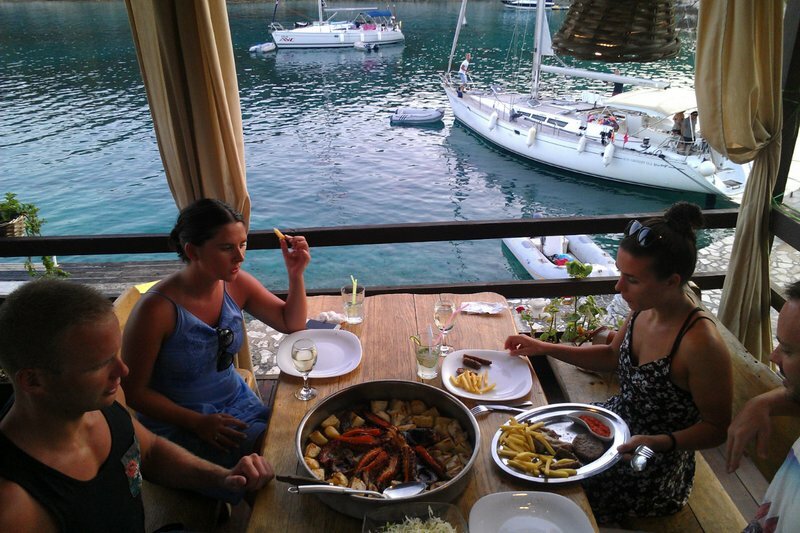 To buy some fish from the fishermen and try to cook your own dinner aboard can be a rewarding experience. 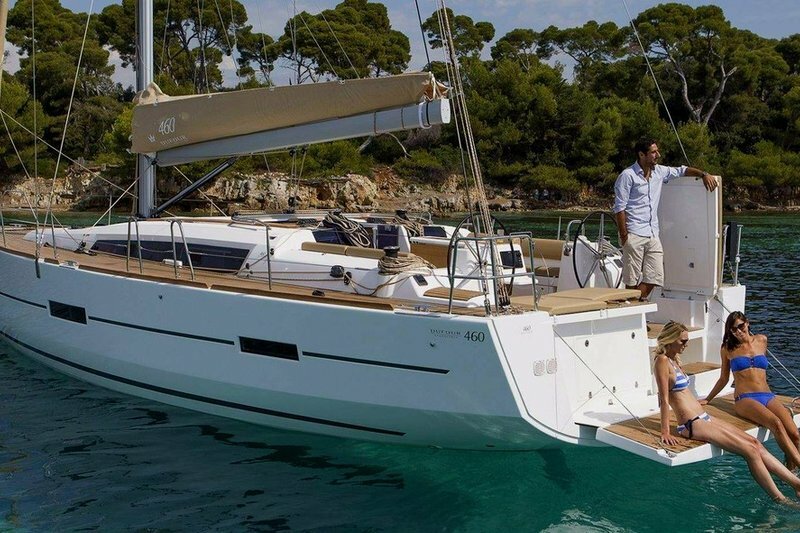 Just relax in a fresh sea breeze and let the wind take you to the hidden places of Adriatic. 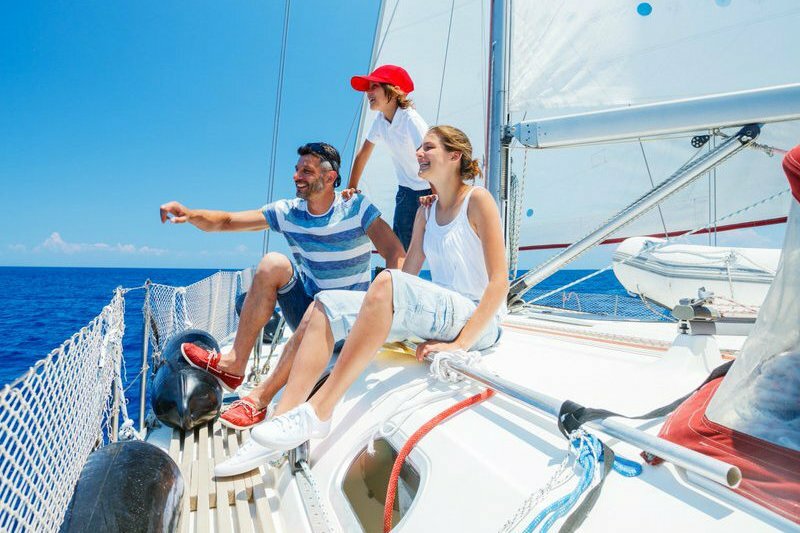 Many of them are but a short stroll from your harbor or anchorage, which makes them an ideal destination for boaters desiring to see a completely different picture of the coast or the islands. Here you will have the opportunity to stretch your legs and take a stroll through the colorful island paths. 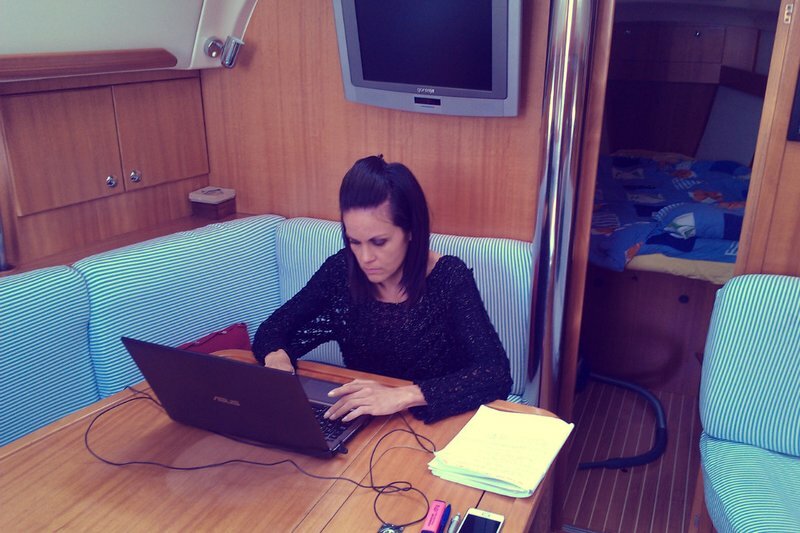 Arriving to Split marina, our skipper will welcome you at embarkation point. If you arrive earlier, feel free to take a short visit of Split old town to check out the beautiful Diocletian palace, a spectacular monument from the Roman empire or to have a quick snack at the city square. 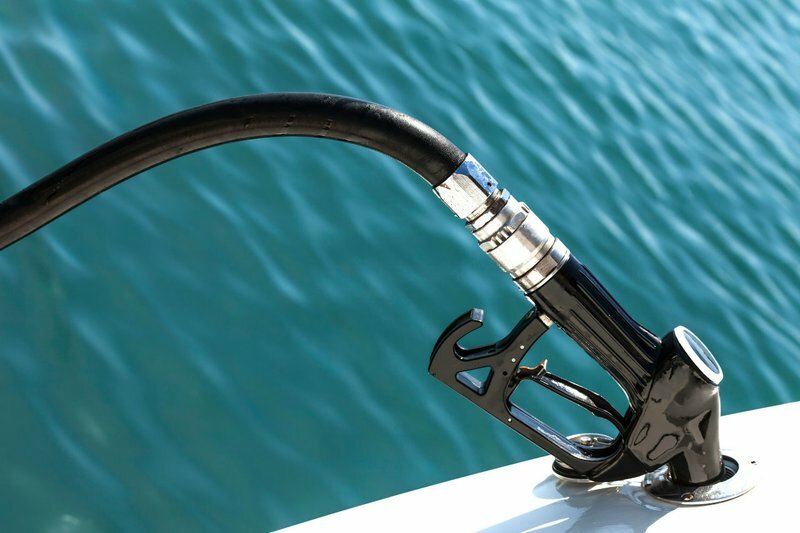 There are numerous shops nearby to fill the boat's lockers with food provisions. We set sail to Postira, a lovely port on the island Brač. 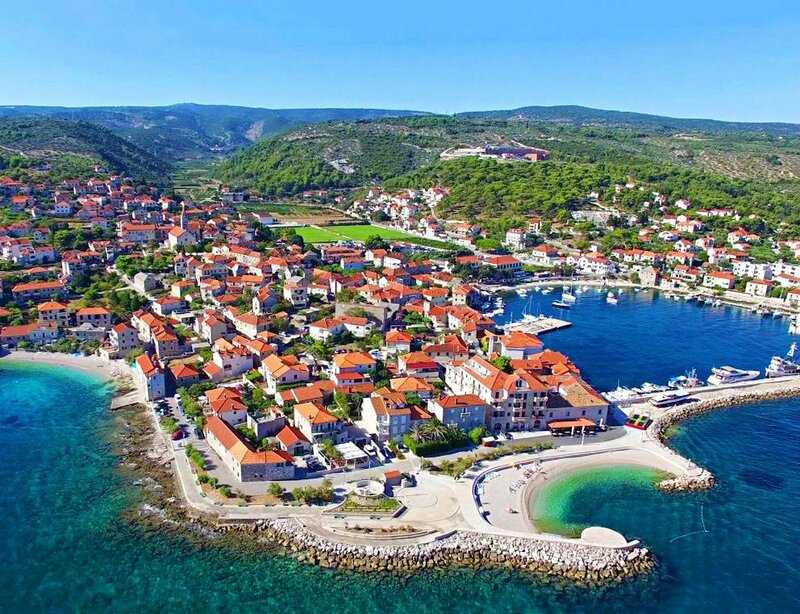 We have 30 minutes walk from the town port to the ethno-eco village Dol, one of the oldest settlements on Brač built of stone on barren rock to preserve the scarce fields of fertile soil. It has also preserved its original architecture. 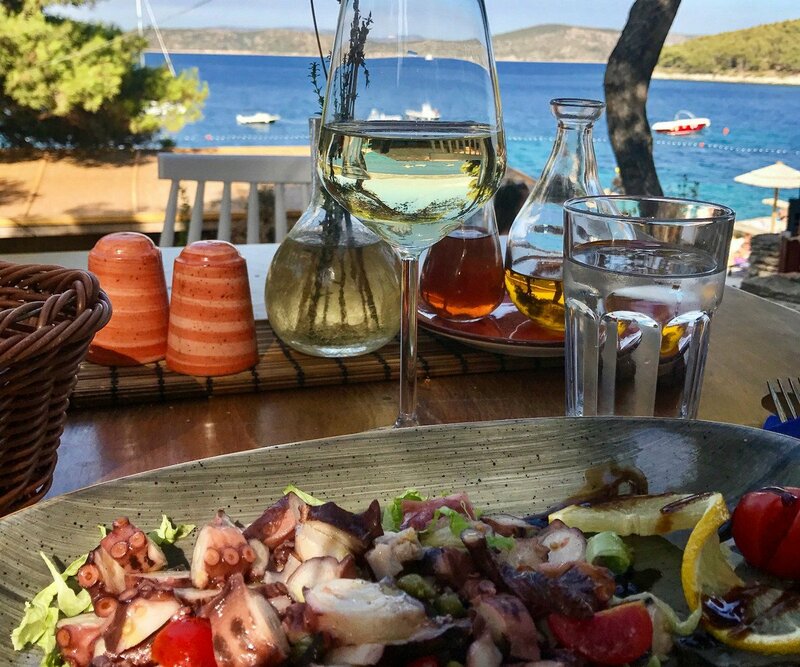 Since Postira is one of the well known fishermen villages on the island, fish is your best choice to dine in a traditional ambiance of this remote peaceful place. We suggest you to taste this delicious and unique cake, you wont regret it. 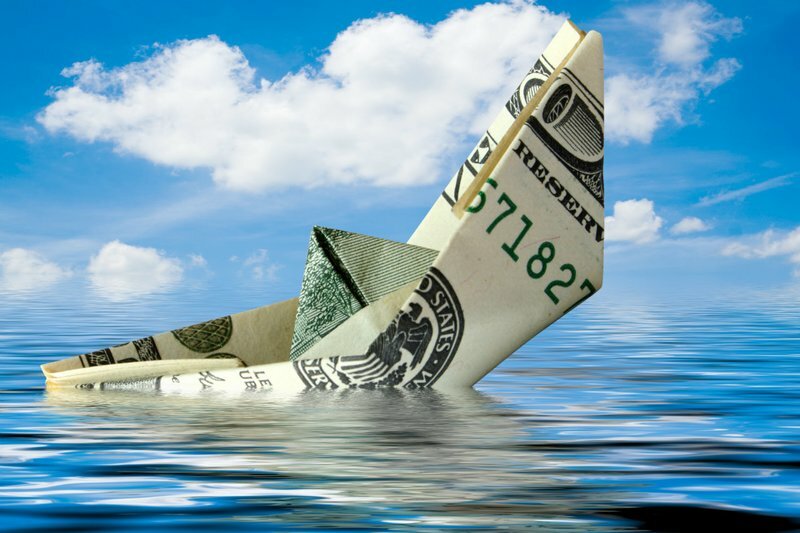 If we are lucky, we might buy some fish from a local fishermen in the morning. Bearing towards south, we'll stop in a lovely village Pučišča for a cup of coffee. This small town is world-known of its white marble that is being exported globally for centuies. The White House in USA and Reichstag in Berlin are both built from the Brač white marble stone. Sailing around the island, we will soon reach the "golden horn" beach near Bol, to take a swim in one of the most famous beaches in the world. The scent of lavender will meet our senses as we approach to the sun-soaked island Hvar. Overnight in a pine forrest dense peaceful cove. We dine only 10 feet from the sea in a unique family-run "Robinson" tavern. The perfect ending of a perfect day. In the morning you should check out the 2.nd largest town on Hvar, the ancient Stari Grad (old town). One of the oldest towns in Europe gives you a nice chance to take a stroll through the cobbled streets and stretch your legs. 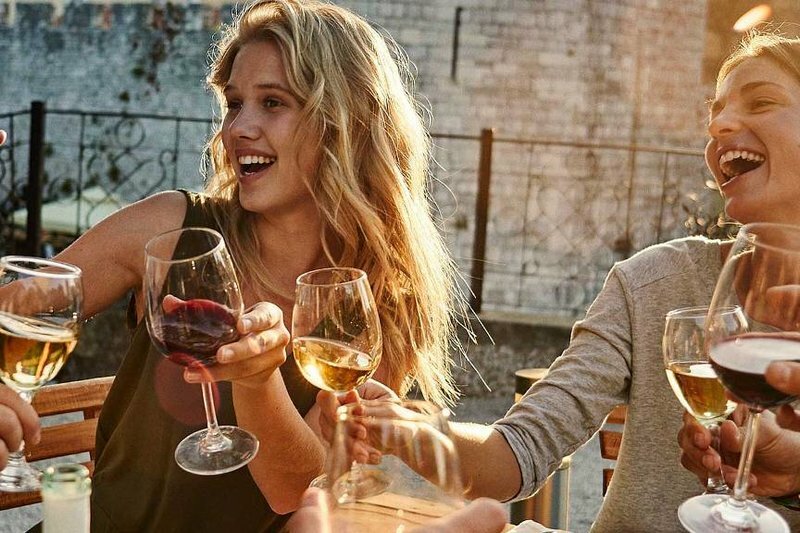 A wine tasting tour can also be arranged. If we are lucky, we can buy some fresh fish from a local fishermen and fill the boat lockers with provisions. Our next stop is the island Korčula, one of the greenest islands in Croatia. Anchoring in a secluded cove and enjoying in a romantic sunset with a glass of wine. What can be better? 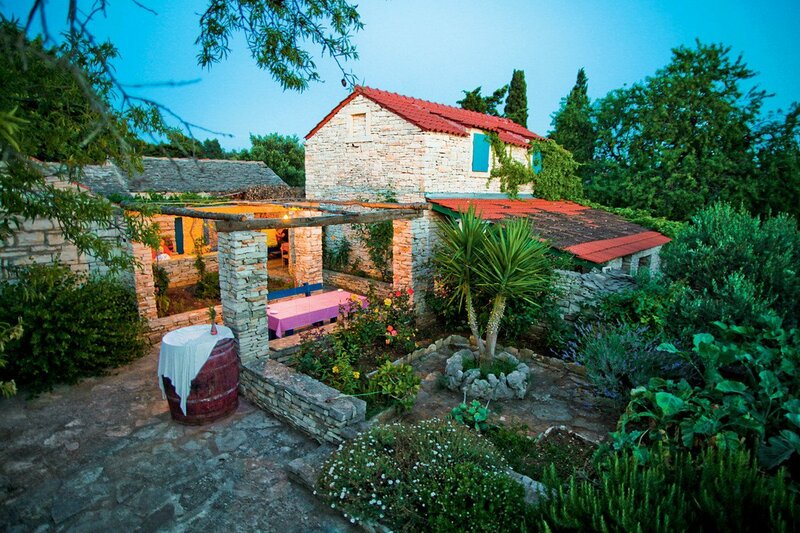 Maybe a dinner in a nearby traditional eco village surrounded with olive trees and vineyards? This is how Adriatic once was, and you are a part of its revival. 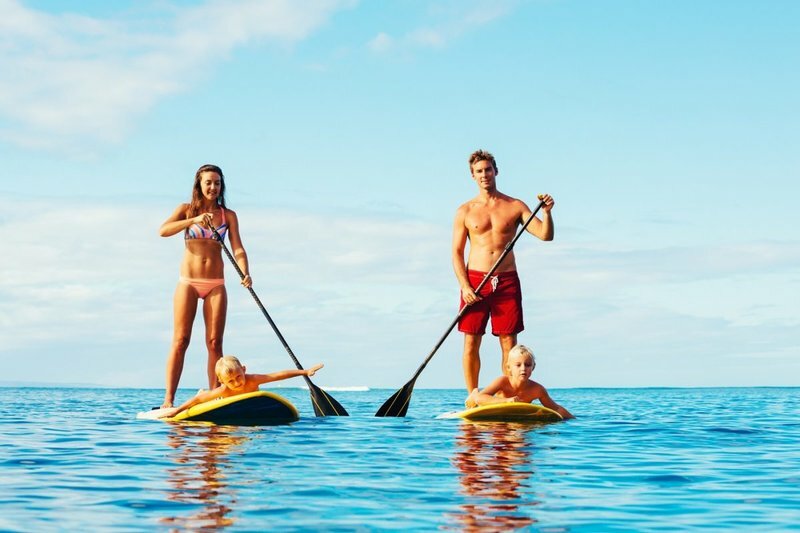 A nice morning SUP tour around the cove for a little exercise can be a fine decision before the breakfast. Today we set our sails west, to explore the magical island Vis. 2 decades before a forbidden island and a military zone, a living legacy from the cold war. If you like history and cultural heritage, this island-monument is really something to explore. The benefit of its military blockade is that all through the centuries the settlers have been more or less cut-off from mainland and a traditional way of life has been preserved. This isolation gives you a great insight into an authentic way of life of this fishing community. There are only 2 towns in the whole island that both together count under 5000 residents. We will anchor in a smaller village, Komiža. You can rent a bike, or a beetle car to explore the island sun soaked hills, vineyards and traditional eco villages. In the morning you can ascend on the mountain Hum (585m) and give yourself a rewarding view over the islands we are about to visit today. If you are lucky, you can see all the way to Italy, and find out why Vis was such a strategic military point through the history. 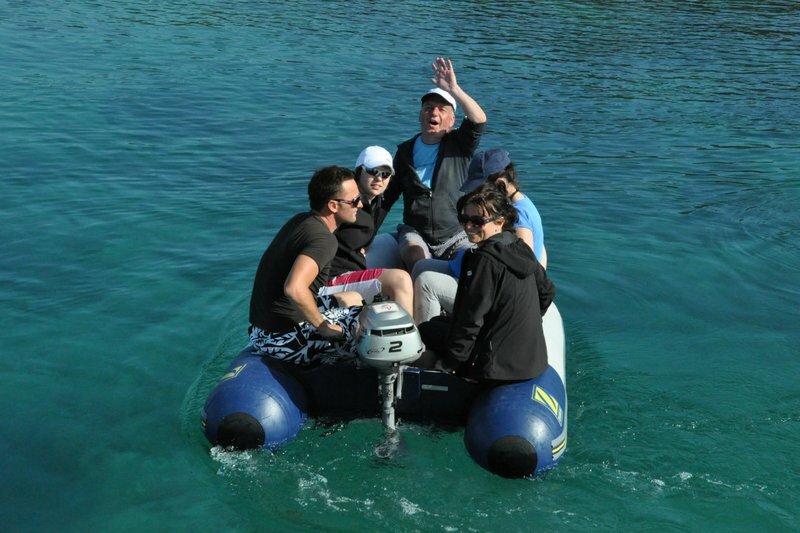 You can also take a water taxi to visit the famous "Blue Cave" on the island Biševo. 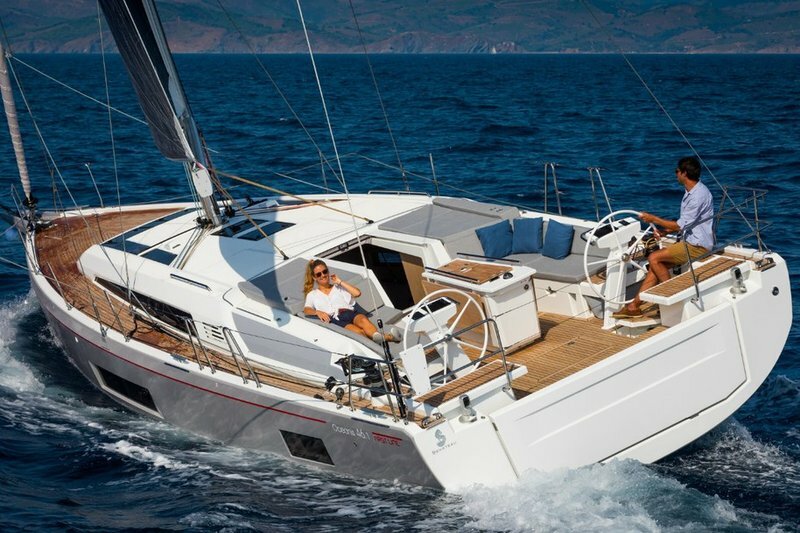 Your skipper can recommend the agency that can give you a nice tour. 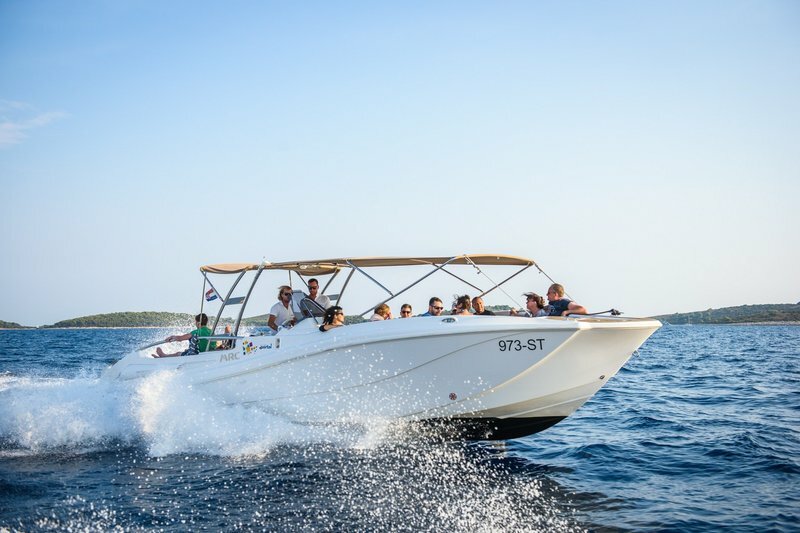 In the afternoon we sail around Vis and admire the southern part of sky-high cliffs only to reach Pakleni Islands near Hvar for a nice swim and check the famus Hvar town. Overnight in Sv. Nedjelja village and dock by a spectacullar family-owned restaurant. Wine tasting in the underwater celler is something you can't miss. 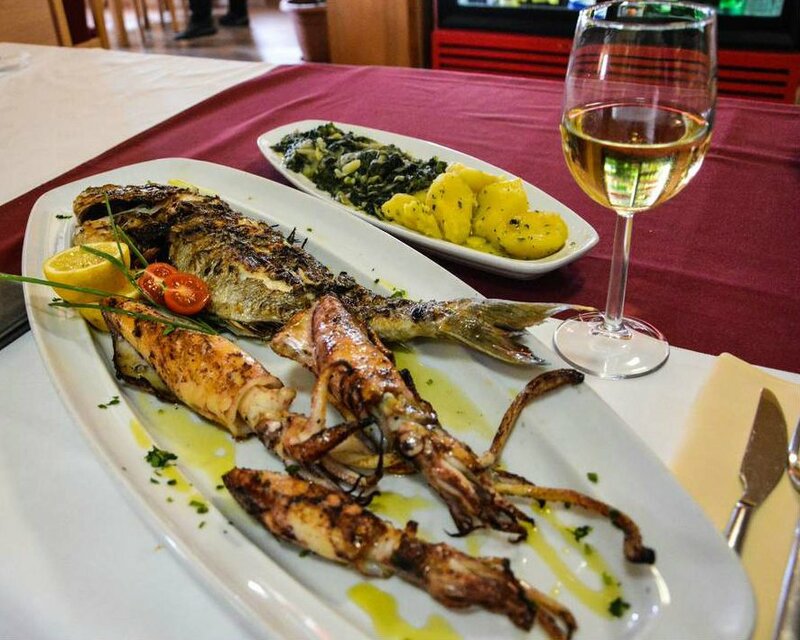 The freshest seafood which is caught daily by local fishermen and delivered to the restaurant is prepared ​​by the finest Dalmatian recepies. A romatic dinner with the sunset over the calm evning sea is an impressive site. In the morning a nice ascend on the highest peak in Hvar, St. Nikola (626m) before we set sail to the "green island" of olta. 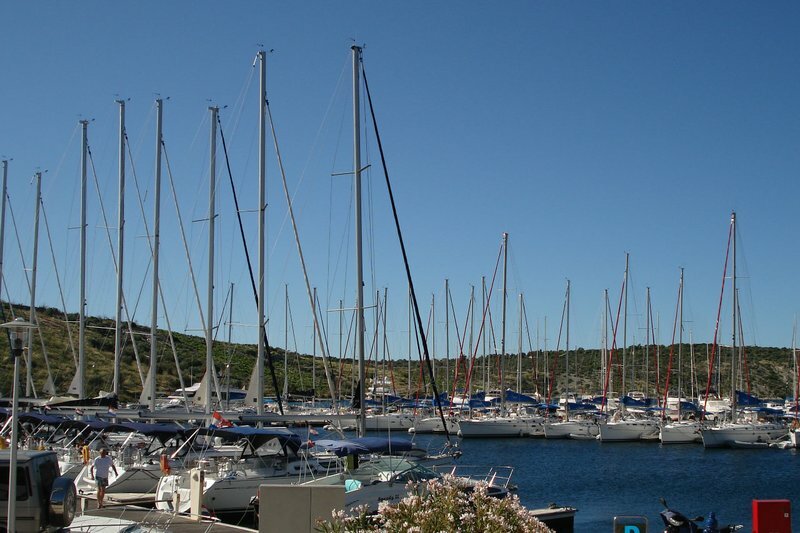 This hidden gem is usually off-the route itinerary for many sailors. Such a pity, since it has so much to offer: Intact nature and, secluded coves, pine dense forrests, ancient ethno villages and and well known hospitality of the local people. 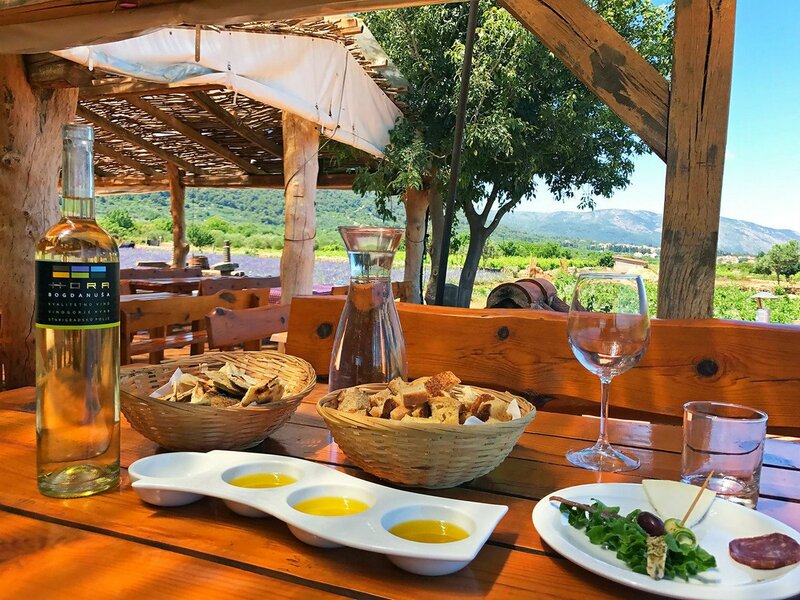 Traditionally produced olive oil and world-famous honey are the highlights that you will experience in one of the family-run eco village taverns only a 20-minute walk from our boat. However, the menu offer here is endless. 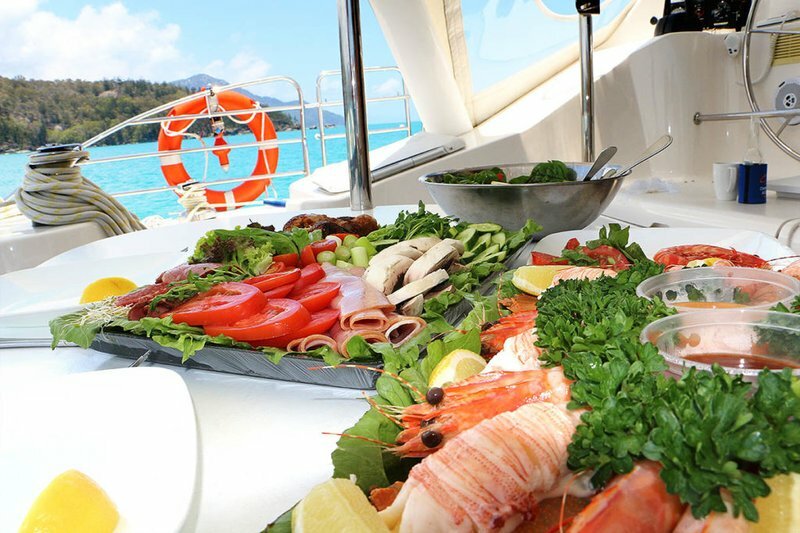 You can choose grilled fresh vegetables or squid, tagliatelle with scampi or lobster and various specialties from meat. 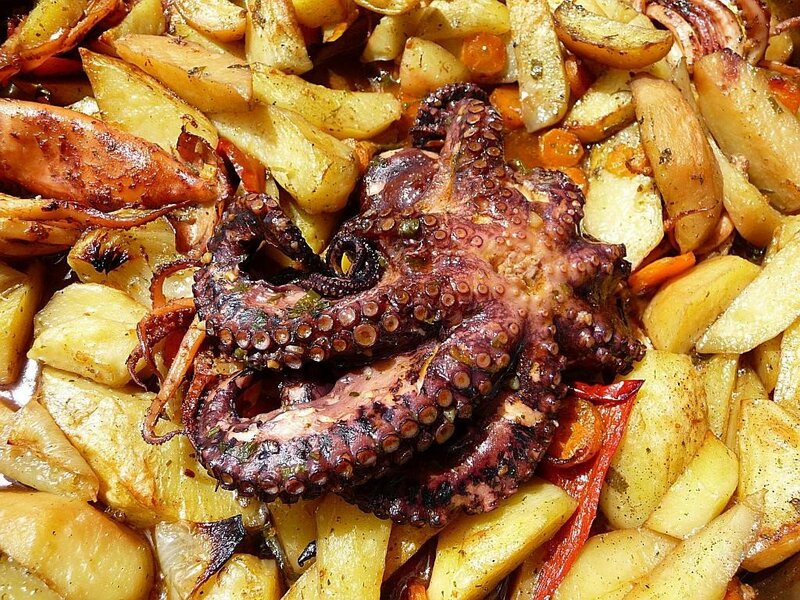 A must-try is octopus or lamb "under the bell". On our last day we'll have plenty of time to swim, snorkel and chill in secluded coves of olta island before docking in our home marina late afternoon. If you didn't get the chance to visit Split, you can take a walk along the evening promenade, buy some souvenirs, or just have a nice romantic dinner in one of the many restaurants downtown. This city really provides a spectacular view in the night time. 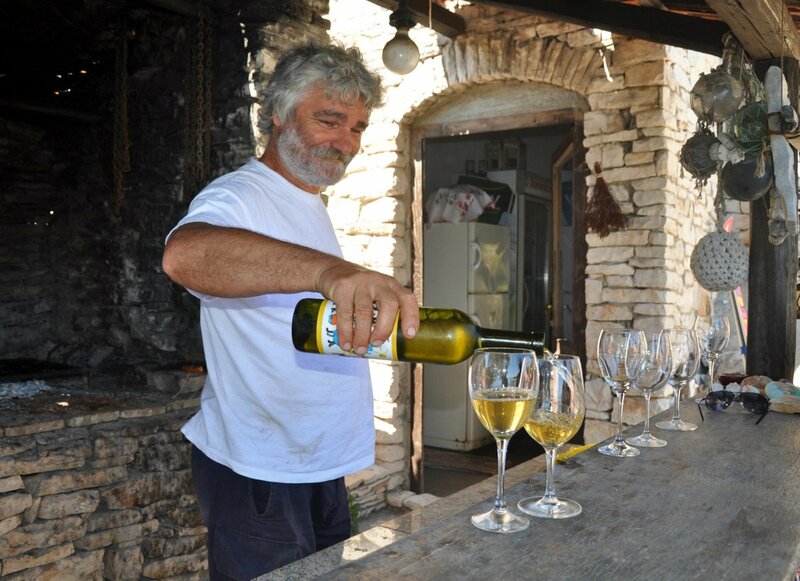 Also gives you the opportunity to taste some new sorts of local wines. We say farewell before 08:30 and hope to see you next year. 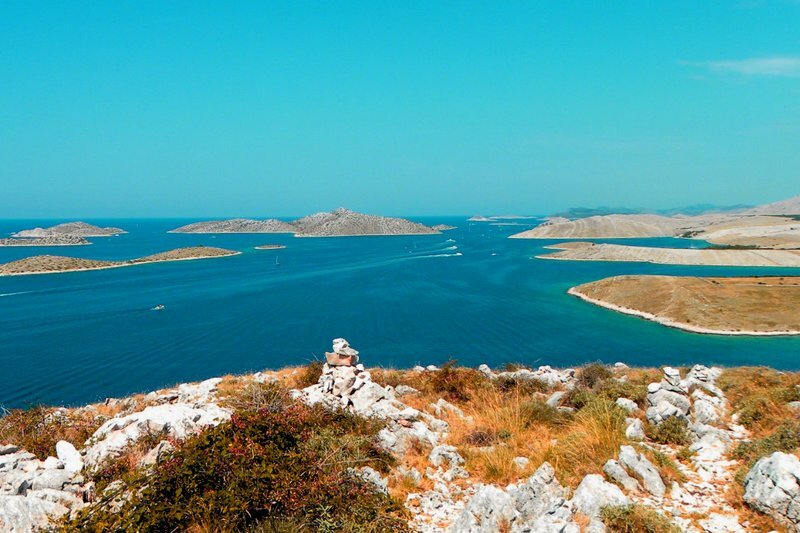 The undiscovered beauty of ancient Dalmatia beyond the tourist hustle and bustle on the coast and the centuries-old stone houses that reflect the Mediterranean quiet, all are within elbow's reach to anyone longing for a different vacation. As well as to the travelers is search of pristine nature and the call of the beautiful sea. It is essential to bring a positive impact and responsible attitude towards our natural habitat and promote local products in order to sustain and give an opportunity to the regional development. In this case, our legacy is preserved and sustained to the next generations in all its beauty. All together we can actively create a long-term synergy that will blossom through the generations to come.